A Sydney pub says it doesn't risk putting up a mirror ball in its main bar as it could see the venue shut down. A Sydney bar says the state's liquor licensing red tape is so nonsensical that hanging a mirror ball has put it at risk of being shut down. The mere act of installing one, the venue has claimed, could see it reclassified as a nightclub and fall foul of the authorities. 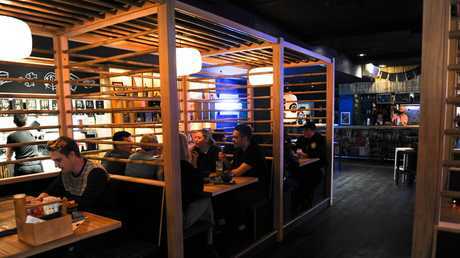 But Goros, a Japanese themed "izakaya" in inner city Surry Hills, has hung one up anyway in defiance at what its owner calls Sydney's "crazy" liquor laws. The owner has challenged the authorities to come and close her bar down. "Effectively we've had our mirror ball banned," said Justine Baker, the chief executive of Solotel, the pub company that owns Goros. She told news.com.au it was just another example of the ridiculous rules surrounding entertainment in Sydney. The restrictions have also forced her to turn away a grandmother from a family celebration because she couldn't prove she was over 18, and shut a rooftop bar after tenants in a new block complained. Mirror balls. A clear threat to safety. In later articles, we'll look at the festival where ballet was almost banned because it could lead to drunkenness and the popular local pub plagued by noise complaints before a schooner was even poured. 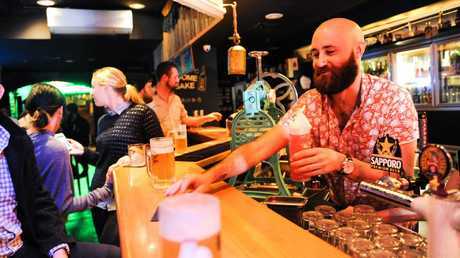 Those within the state's hospitality industry say it has been decimated by a combination of lockout laws, vexatious noise complaints, over officious councils, excessive, overlapping and contradictory regulations and risk-averse police. And it's shaping up to be a hot topic at the state election on Saturday, with Labor claiming the Coalition government has declared "war on music" and an entire political party formed to slash red tape. But talking to news.com.au yesterday, Premier Gladys Berejiklian said "it frustrates me when there's red tape that doesn't need to be there". A report by Deloitte Access Economics has found Sydney's night time economy was underdeveloped to the tune of $16 billion. Goros bar in Surry Hills, the owners of which claim they have been effectively banned from hoisting a mirror ball by authorities. A NSW Government investigation into the state's night-time economy found that a mirror ball could indeed be seen in some quarters as sign a venue could be acting as a nightclub. 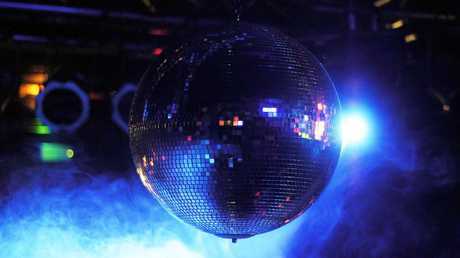 The report cited NSW Police advice that "the installation of a mirror ball implies an intent to provide for a dance floor. 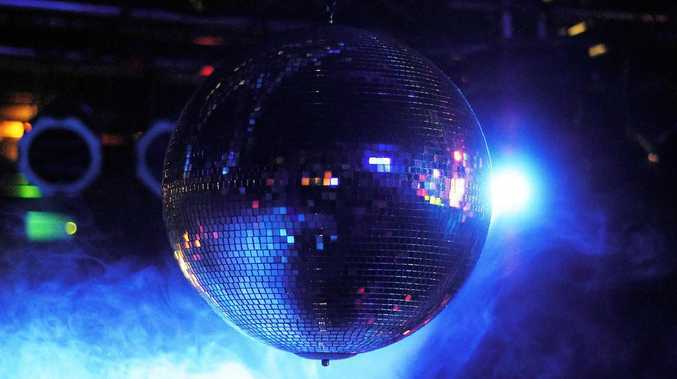 Police would have concern that the installation of a mirror ball in a premise that has not been approved for a dance floor could mean that the premises is being used for purposes not allowed." 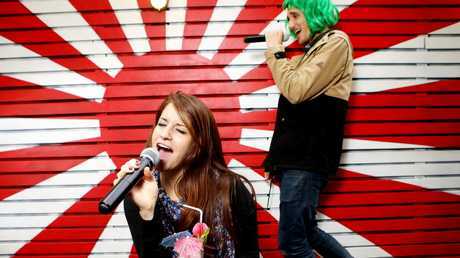 "It's a small bar with great music and there's lot of quirky Japanese games and karaoke rooms. It's a very different model to a nightclub," she said. "But if we put a mirror ball on the ceiling and people danced underneath, it starts to operate like a nightclub. It's just crazy, you can't regulate people wanting to have fun, so we don't have a mirror ball or a dance floor and people just end up dancing where they want." "Typical features of a nightclub operation may include loud music, a dance floor area, low background lighting, and intermittent bright or coloured lighting effects," the licence reads, according to the firm. Goros, a Japanese izakaya, insists it’s not a nightclub. Liquor and Gaming NSW (LGNSW) denied Goros' licence had this level of detail, but the firm insisted the restrictions were in place. Solotel admitted mirror balls weren't specifically ruled out but nonetheless said her licence and information she has gained from police made it clear they could be seen as the paraphernalia of a nightclub. NSW Police has been contacted for comment. "To date the authorities haven't seem to have found issue with it yet, let's hope it stays that way," the firm said. One of the frustrations is the confusing overlap of conditions between liquor licences and development applications. Both, for instance, can specify trading hours but those hours don't necessarily match. "That gives an opportunity for a government body to look at your business and work out which one they will use to regulate you," Ms Barker said. Solotel said it "easily" spends more than $100,000 a year on lawyers, consultants and reports to battle the rising tide of paperwork. "We should be concentrating on fun and culture and adding to the fabric of people's lives and yet we spend inordinate amounts of time on red tape and regulation," Ms Baker said. Labor's spokesman for the night time economy, John Graham, told news.com.au Sydney was swiftly becoming like the fictional Utah town of Bomont in the 1984 film Footloose featuring Kevin Bacon where dancing was banned. "It's mad. Everyone accepts it's a problem. There are 669 venues where there are bans and restrictions on live music, bands, DJs, rock music, disco, mirrors balls," he said. "There are things you should regulate - noise, opening hours, service of alcohol - but the government shouldn't tell you not to listen to a particular sort of music and not to dance." He said he wanted to see a "safe, diverse and vibrant night-life". "It frustrates me when there's red tape that doesn't need to be there. I always say to my team that if there are examples that don't pass the common sense test, let's deal with it," she said. "Maintaining public safety is a priority but so is reducing the burden of red tape. We've tried to get rid of processes that are burdensome for people, whether you're a citizen or someone running a business." Sydney's Civic Hotel has had a restriction on "rock and roll bands" axed and the Central Coast's Toukley RSL has seen a bizarre rule that demanded only "old time dance bands" on Friday nights removed. Yet, of these 669 venues, only 21 have applied to have their conditions relaxed. LGNSW has speculated this is because "the problem may not be as substantial as represented". But Labor's Mr Graham has another explanation. He said venues were concerned any attempt to get out of the red tape quagmire could backfire. "They're worried if you put one condition up for grabs you have to put the others up for grabs too," he said. Ms Baker agreed: "We could try to change the conditions but that's not wise because it can end up you get more conditions added (such as) your trading hours changed." 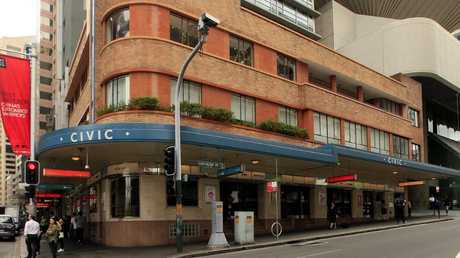 Sydney’s Civic Hotel can now play rock music again after it was one of the few pubs to have its ridiculous rules scrubbed out. City of Sydney Council and LGNSW told news.com.au that applying to remove one condition shouldn't see new restrictions imposed. But LGNSW said a new restriction could be added if it related to the one the venue was seeking to ditch. If a ban on rock music was being lifted, pressure from police or residents could see a "qualifying condition" added that bands cease playing before a certain time. Labor said if it won the election, it would simply sweep away all the bizarre rules, no questions asked. But the Liberals contend it would be "irresponsible" not to consult locals and police beforehand. 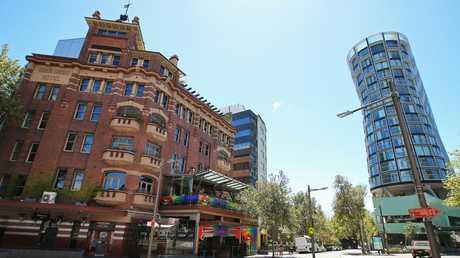 Sydney’s Kings Cross Hotel closed its rooftop bars due to complaints from residents in a new block opposite. Picture: Sam Ruttyn. "If you don't have ID, you can't get in. If I tried to go into one of my own venues without ID, I couldn't get in," Ms Baker said. "We've had functions with grandmas who had no ID and they couldn't get into our venue. Almost every Saturday night we turn away several 40-year-olds." "The lockouts are a blunt instrument which is not going to make Sydney a safer place," she said. "Sydney is already a safe place, crime rates have been reducing in the last decade. "If you have six pubs in a row and nothing else that's where tensions happen but if you have a diverse fabric of businesses, that creates a safer environment." She said she was "excited" the night-time economy was an election issue but the major parties weren't going far enough: "Neither party has come out and said they will repeal the lockouts, a symbolic gesture to say we believe in night-life." Anger with the state of NSW's hospitality industry has led to the birth of an entire political party, Keep Sydney Open. "There's no shadow of a doubt NSW is more extreme that other states. They're infantilising people who just want to go out and sit with friends in a bar," founder Tyson Koh said. 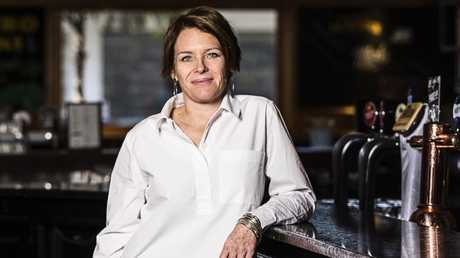 "Unless we get a really good signal from the government, we wouldn't be looking to invest, purchase or open a late-night venue as the business model doesn't exist," Ms Baker said. 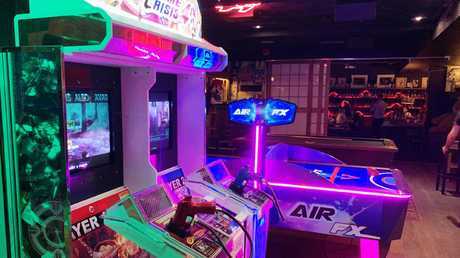 Japanese arcade machines at Goros.